PT Supraco Indonesia (SPC) was founded in 1979 with the name of PT Summa Prakasa Corporation aiming, initially to provide local service to many foreign oil and gas companies in Indonesia at this time. One of the business activities being managed was expatriate management services. As the market and need widened, PT Supraco Indonesia (SPC) has expanded its business activities to other areas in oil and gas sector. Service being provided today can be summarized into these following line businesses: Operation Support, Construction, Agency, Marine & Offshore Support, and Energy Development, mainly in operation support areas. 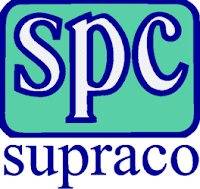 Today, PT Supraco Indonesia (SPC) has established reputation as one of the prominent player in Indonesia oil & gas industry serving companies like Chevron Pacific Indonesia, Chevron Geothermal, Conocophilips, Exxon Mobil, TOTAL E&P, Schlumberger, Amerada Hess, TransOcean, Kangean Energy and many others.